Polish President's Speech Before the United Nations - Andrzej Duda, President of the Republic of Poland. 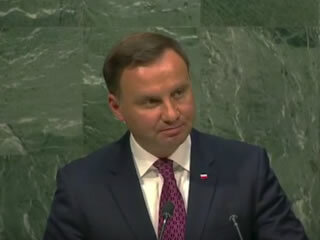 Polish President Andrzej Duda United Nations Speech. President Duda's entire speech can be downloaded here.